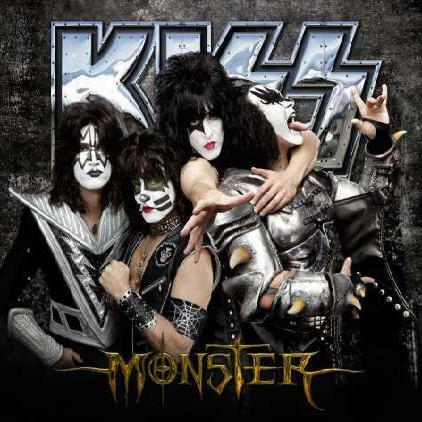 A big congratulations to KISS for landing at Number 3 on the Billboard 100 with their new album, Monster. This is a great achievement as the band have sold 60,000 copies of the record in the US. 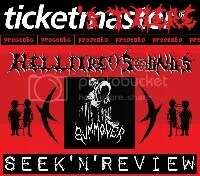 Here in Ireland, Tickets There has bought two copies (insert smiley face). There’s also some other results in with the band ranking high in Scandinavia and across Europe. Full details below. 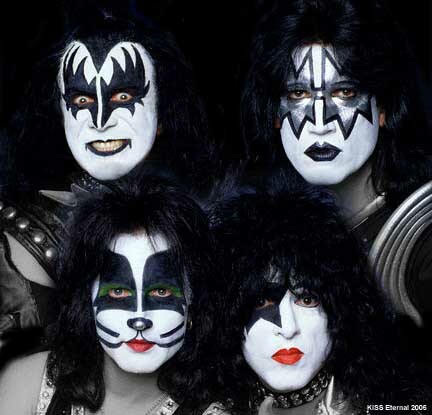 KISS have announced five Scandinavian dates for June, 2013 bringing hope that they’ll soon announce a full European tour in support of their new album, Monster. The dates are taking place in Sweden, Finaland, Norway and Denmark and go on sale Oct. 22nd except for the Swedish dates that are on sale now! The kings of the night time world are back with screaming glory ‘n’ a vengeance! 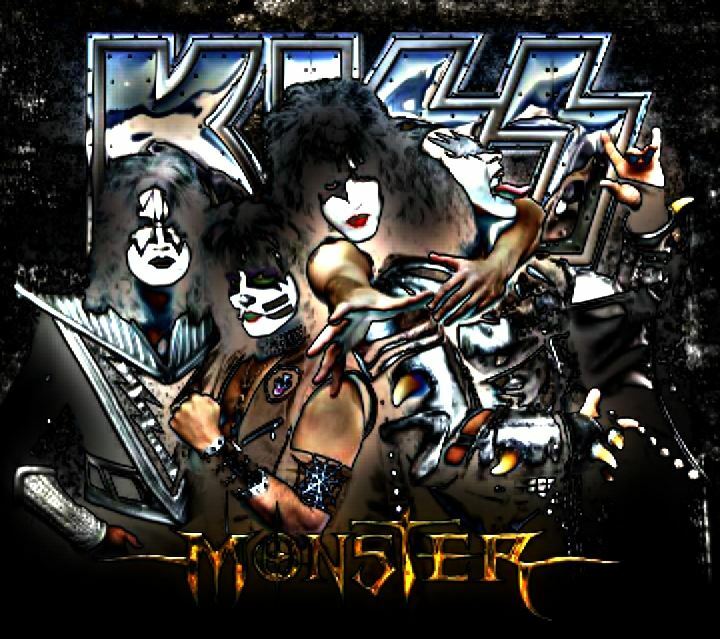 MONSTER is the twentieth studio album by iconic rockers KISS and it looks like 19 previous records, countless live shows and 39 years in the business haven’t slowed down the guys one bit. Monster is one of the biggest releases in the band’s history and it comes hot on the tails of their 2009 record, Sonic Boom (at that time, their first album in ten years) which saw the band achieve the highest US chart success of their entire career. Now the task falls on Monster to satisfy the mighty KISS army, continue their never ending – steamrolling success, fuel the ship on their second and sold out KISS KRUISE and most importantly of all, add a few more hits to the indestructible KISS KATALOGUE (yes, everything KISS related must, when possible, begin with a K). Monster delivers everything the band promised and more. No ballads, no outside song writers and a welcome return to the band’s classic seventies sound. Harder guitars, re-introduction of groove and balls to the wall rock ‘n’ roll. 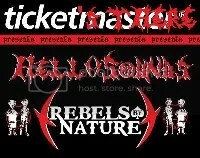 Opening track ‘Hell Or Hallelujah’ screams back to the days of Love Gun and Rock N Roll Over. Shredding guitars left right and centre, a pounding riff and Paul ‘Starchild’ Stanley standing firm at the forefront delivering the best song KISS have written in years. Fortunately, it’s not alone. ‘Take Me Down Below’, ‘Last Chance’ and ‘Freak’ are all stand out tracks, vocally endorsed by Mr. Stanley, each one making a case to outshine the others. As with Sonic Boom, Gene’s tracks take a few more listens to really get to grips with. The demon seems to be on a quest for a pounding, thunder some anthem that correctly represents his larger than life character with all the dark coattails and demonic tendencies attributed to such a legend– with the obligatory sing along catchiness we all want from KISS of course. After three days of listening, we can happily agree ‘Back To The Stoneage’, ‘The Devil Is Me’ and ‘Wall of Sound’ achieve everything you’d want from a classic Gene track. However his work with Paul on ‘Take Me Down Below’ stands out as one of the true Monster gems. 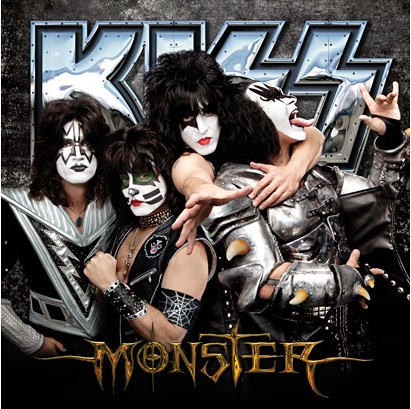 Not forgetting Tommy Thayer or Eric Singer, both deliver the goods across the board on Monster. Once again they both get a shot at the spotlight handling vocals on ‘Outta This World’ and ‘All For the Love of Rock ‘N’ Roll’ respectively. Two feel good, sing along KISS tracks that fill their space nicely (of course, this writer is tipping his hat to Outta This World more so). Well, Monster is everything you’d thought it would be. A solid KISS album with its fair share of tunes you’d happily invite into future live sets. The whole band put in a great performance and it’s a true credit to them, especially after so many years in the business. 37 years ago they preached about rocking and rolling every day and every night and unlike most of their contemporaries, they’re still doing it to the letter. Rock on KISS! The wait is over people! Today, KISS release their twentieth studio album ‘MONSTER’. It’s their first since 2009’s ‘Sonic Boom’ which saw them achieve their highest ever chart position in the US….just writing this, I believe Tickets There may have indicated in another article that Monster is the first album by the current line-up, of course it’s not – Sonic Boom was. Not like Tickets There wasn’t plastering Sonic Boom everywhere when it came out. Chalk that one up to Jack Daniels head. Monster has once again been fully written and produced by the band with no outside song writers getting involved. In July the band released the albums first single, Hell or Hallelujah which showed a return to their early days. Fans can hear sneak peaks of all the tracks on ITunes – but that ruins the fun a little. Legendary rockers KISS are set to unleash their new album ‘MONSTER’ next year. Originally pencilled in for a later 2011 / early 2012 release, Gene Simmons recently confirmed they’ve pushed it back to the spring. It’ll be the bands twelfth studio record and the follow up to 2009’s highly successful ‘Sonic Boom’, the bands highest charted record to date. Like Sonic Boom, Monster will be completely written by the band and produced by their amazing lead singer, Paul Stanley. So far six song titles have been confirmed and to celebrate the album, KISS will also put out KISSOLOGY Volume IV around the same time Monster hits the shelves. 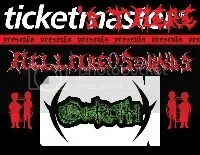 Oh, and of course they will be embarking on a world wide MONSTER tour! Safe to say 2012 will be their year. Track’s confirmed so far are below and we advise you keep reading some other bits of news below. KISS KRUISE RETURNS: As well as an album, tour and DVD set; KISS are also set to embark on a few other tasty projects next year. 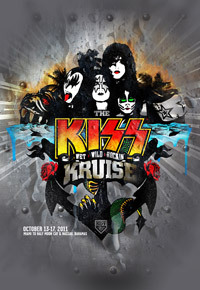 2012 will see the return of their KISS KRUISE, the first of which took place earlier this month. Taking place over five days and featuring several performances by the band themselves, the KISS KRUISE is Mecca for their fans and Tickets There does not intend on missing it this time. 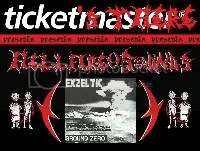 Stay tuned for updates later in 2012. KISS TAKE LAS VEGAS: What’s the one thing Vegas is missing? A KISS themed casino, hotel and theme park, that’s what! 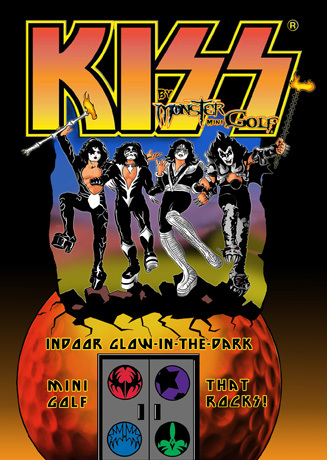 Well fear not, January 2012 will see the opening of the KISS: By Monster Mini-Golf, Rock & Roll All Night Café, Hotter Than Hell Wedding Chapel and will incorporate the ‘largest KISS gift show in the world’. Ahhhh hell yes!! 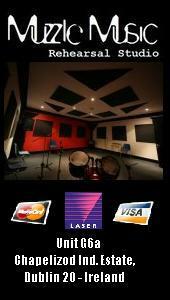 18 indoor glow in the dark KISS themes golf holes, KISS themed event rooms, all day DJ’s a KISS gallery and much, much more. Next stop – KISS Konquers VEGAS! 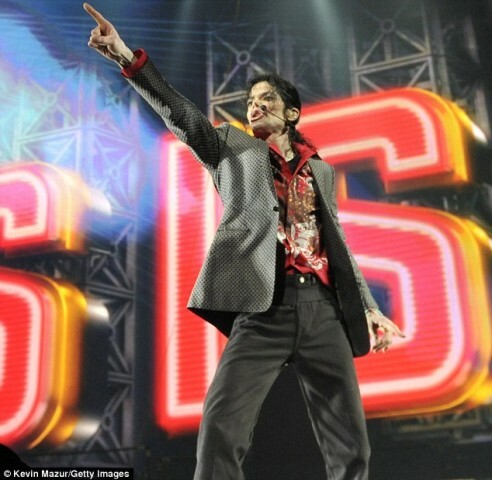 Michael Jackson, the legendary King of Pop is back with a new album! 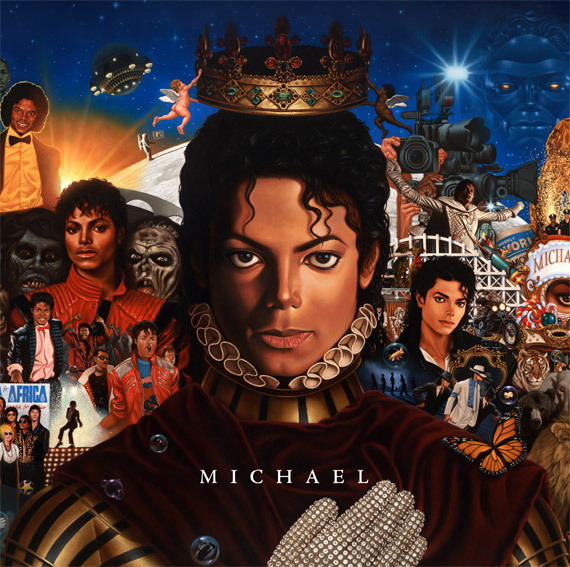 Anyone who ever doubted the man’s claim to the royal throne surely can’t begrudge Michael now that he’s managed to release his first full length album in nine years despite the small matter of his death just 18 months ago. Tongue in cheek anyone? It’s no secret that the release of Michael has been a controversial choice for Sony with almost everyone in the Jackson camp coming out to bash the idea with some even speculating to the authenticity of the vocals on some of the tracks and artists such as Will.I.Am denouncing the record company’s choice to release a highly respected musician’s unfinished art without his consent. Despite all this, the album is just two days from an official release so it’s time to forget the controversy and find out exactly what the King was up to behind the scenes for his final years. Things take off slowly with the R&B styled Hold My Hand which features Akon. Not a bad song by any means but given that this is the opening to a deceased legends posthumous album, you’d expect a little bit more of a show. Hollywood Tonight provides the template for a classic slice of Michael pop but doesn’t really deliver the balls to make it a stand out classic and just seems to go with the flow. Maybe it could have worked with more work from the artist but unfortunately he was unavailable to provide his feedback. Keep Your Head Up is another Soulful R&B number in the style of tracks from 2001’s Invincible album. It isn’t until (I Like) The Way You Love Me kicks in that you get a real taste of Michael’s legendary smooth as silk talent. Monster (featuring 50 Cent) continues the albums ascent towards acceptable with it’s beefed up, glass smashing, ‘Shamone’ style pounding. Amazingly enough 50 Cent’s contribution works well next to Sir Michael with the King’s vocals holding up their share. Maybe a little too broad to become a classic but nice to hear Michael was still prepared to strain the cords when called for. Best of Joy is another bog standard light number with it’s cryptic ‘I Am Forever’ chorus and then we come to the albums most controversial number, Breaking News. Breaking News is the song several family members have claimed contains vocals from some MJ impersonator and Sony are going well out of their way with experts, analysts and collaborators being brought in to confirm the vocals are those of the King. Personally, Tickets There thinks they sound more like Britney Spears, just like the song itself. As a Michael Jackson song, it sounds a little too obvious in it’s subject matter and far too similar to every other pop act from the mid-2005 era with it’s electro drums, banging noises and layer upon layer of effects to flesh out the sound and convince you that underneath all this hoopla there’s something actually happening. Not a terrible song but only made interesting by the fact that Michael Jackson sings it. If it was anyone else, we wouldn’t care. (I Can’t Make It) Another Day on the other hand is an excellent Michael Jackson song. Back to guitars, drums and Michael’s powerful voice throwing shapes against some great wind we always in vision him working against. A guest appearance by Lenny Kravitz is very welcome while Dave Grohl’s drumming seems a little understated. Much Too Soon closes things of with a very gentle, no frills ‘Ben’ styled niceness. It’s not a bad album. 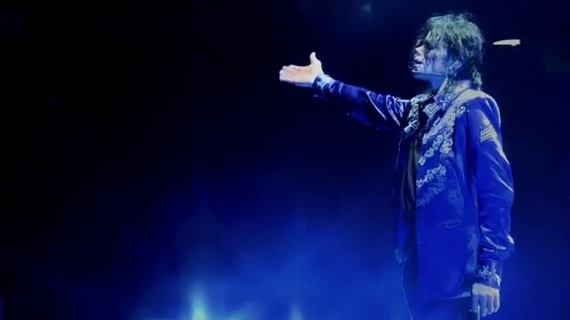 In fact it’s a lot better than Invincible but like Invincible, there’s not a lot here to tack onto Michael’s legacy. Some nice moments, a handful of pretty great moments and a lot of rehash Michael styles that were never amazing to begin with (I’m looking at you Heal the World….and most of Dangerous really). The King is gone and this is by no means a slur on his career or an aborted attempt to salvage what ever last shreds of a record he had prepared. It’s solid, it’s finished and it’s 100% Michael. It’s just not the greatest Michael Jackson album of all time and that’s exactly what it needed to be for people to embrace it fully. Saying that, it’s nice hearing him sing again.